Driving without a tachograph card is a big no-no. It is one of the most basic ways in which you can break the rules and get yourself into bother when it comes to driving a HGV. However, drivers forgetting their tacho cards happens far more often than it should. In fact, between 2016 and 2017 over £1.5 million in fines were handed out to drivers in the UK for card offences when driving and for exceeding driving hour times. Some drivers even ended up in prison. Breaking any rule when driving will be taken very seriously. 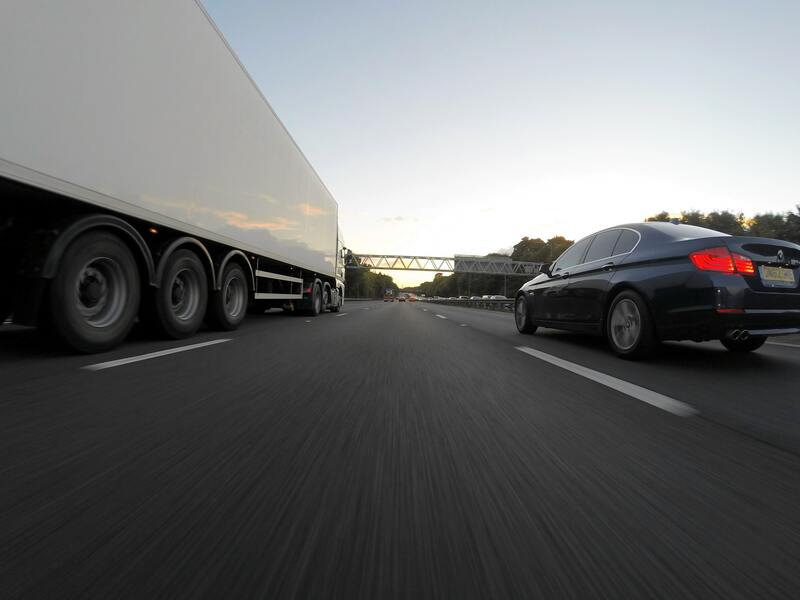 But, with the rules surrounding driving without a tachograph card being some of the most fundamental, it’s important to stay on the right side of the law. Hauliers have had to track their driving for some time now, with Regulation (EC) 561 coming into play, back in 2006, which requires any and all relevant vehicles (produced after 2006) to be fitted with a digital tachograph system. This means that any authorities stopping drivers for information should be able to access their speed, driving and rest hours easily, to ensure that they are keeping within the law. For now, we’re focusing just on drivers cards (excluding company cards, control cards and workshop cards), and we will look at the do’s and don’ts of using your driver card. Let’s begin with the rules surrounding your driver tacho card, you can read up on the rest of the tachograph rules over here. Please see an excerpt from this page below. You must always use a card when operating your vehicle. If your card is lost or stolen, then you are required to take a printout at the start of and end of a shift. Be aware that the VU will still record that there wasn’t a card present and continue to record all activities, which could be seen as “undeclared duty”. One smart card per driver – One of the most crucial tachograph rules is that you cannot share your smart card with other drivers. The DVLA must have correct and up to date contact information for you. If any information is changed (like your address), you need to contact them to let them know ASAP. Cards should be in the correct slot the moment you enter the vehicle and definitely before you begin to drive the vehicle, with driver 1’s card in the card 1 slot and driver 2’s card in slot 2 where applicable. Do not remove the card during the working day, unless there is a vehicle or driver change during that day. What can a tacho card track? When in use, each card can track specific information about the different vehicles it has been used in and can even offer a timestamp and date of when it has been in use, as well as the registration number and the odometer readings of each vehicle. It can record the distance travelled, the activity states throughout the journey (whether the driver was driving or on a break) and record activities of any co-drivers. In fact, each tacho card stores numerous layers of information; from the countries it’s been in, to the driver’s profile. For example, it also stores info about the authority (normally an EU country) who issued it, the different locations and the time in which it can be validly used, as well as, the name, DOB and driving license number of the driver themselves. The main use of the tacho card is to serve as a record of the vehicle and the driver’s activity and information. This means that anything of note can be accessed and questioned whenever it needs to be. As we have established, a lot of the information has to be recorded as the rules and laws set around them are strict and can put both the company and the driver at risk of prosecution should they not be kept to. Most HGV’s can be operated without a card; however, this is very much against regulations (with the exception of very few circumstances) and driving without a tachograph card will result in your vehicle recording any times it is used without a card present. When is driving without a tachograph card okay? Inform the DVLA immediately. If your card has been lost, stolen or irreparably damaged, the DVLA (or DVLNI, if applicable) must be informed as soon as possible during their open hours. Alternatively, if your card has expired you will need to wait until a replacement card has been sent out and available for you to use before you will be able to drive again. There are no workarounds for this rule, you must have an up to date card at all times. Inform your superior as soon as you can. They will have to know if your ability to work has been compromised or halted and you will also have to inform anyone else that your superior requires you to. As mentioned, driving without a tachograph card is possible, but the situation comes with some rules of its own. You are able to drive, however, it can only be for a period of up to 15 calendar days and no more. As the DVLA must replace any cards within 5 working days, this shouldn’t be too difficult to achieve and, again, it only applies to those who have lost or damaged their tacho card. During the days that you are working without your card, you must make a hard copy printout from your digital tachograph at the beginning and end of each journey. You must also write your name and DL number on the back of each print out to allow them to be traced back to you easily. These printouts must be ready and available for inspection for up to 28 calendar days, after that, they should then be passed to the vehicle operator. Apply for a new card immediately, which will cost £19 (unless you are applying for a replacement for a faulty card) and will take 5 working days to get sent to you. The sooner it is ordered the better. If you have any questions about driving without a tachograph card or just want to get in touch with any queries, please contact our friendly customer service team who would be happy to help.